Getty Images/Joshua LottTesla CEO Elon Musk signalled his desire to take the company private on Tuesday. Tesla CEOElon Musk has put himself in a risky position, Scott Galloway, an NYU marketing professor, said via Twitter. Galloway referred to Musk as the “Thomas Edison of our age,” but said Musk could find himself in legal trouble if he hasn’t secured the funding necessary to take the company private. “My mind is blow [sic] over Elon tweet today. I think the Thomas Edison of our age has come off rails. ‘Funding Secured’ means he has the money lined up or he’s guilty of market manipulation. His animus toward short-sellers have gotten the better of him,” he said. On Tuesday, Musk signalled his preference via Twitter, where he said he had secured financing for such a move. TeslaCEO Elon Musk has put himself in a risky position, Scott Galloway, an NYU marketing professor, said via Twitter. Musk shocked observers on Tuesday by expressing his desire to take Tesla private. The company has been public since 2010. He first signalled his preference via Twitter, where he said he had secured financing for such a move. Tesla’s share price surged after the tweet, rising by as much as 12% before trading closed. 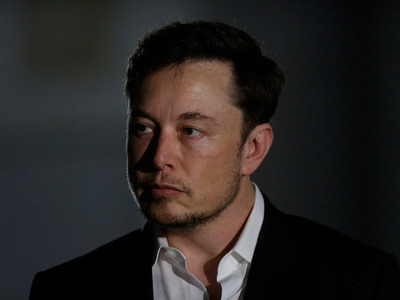 The company released an email Musk sent to employees in which he said taking the company private is “the best path forward.” He said the pressures of being a public company create distractions and promote short-term thinking that may not produce the best decisions in the long-term, but added that a final decision could not be made until a shareholder vote is held. Galloway later questioned the Securities and Exchange Commission’s response to Musk, suggesting he would not be subject to the same level of regulatory attention as other CEOs due to his reputation as an innovator.